Roller Sports Canada’s Speed Committee is now receiving applications for the role of Coach for RSC’s speed team for the Toronto 2015 Pan American Games. 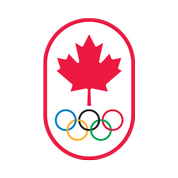 The Games’ roller speed event will be held in Toronto, with practices and racing July 9-13 2015. Interested coaches are asked to submit the following information listed below. The successful applicant(s) will be contacted by a representative of RSC/ RSC’s Speed Committee to discuss and arrange for further planning of the role with the athletes who successfully qualify to represent Canada at the Pan Am Games. Le Comité Vitesse de Roller Sports Canada est a la recherche d’un(e) entraineur(e) pour l’équipe vitesse qui représentera le canada aux Jeux Pan Américains Toronto 2015. La compétition aura lieu à Toronto avec les jours de pratiques et de course du 9 au 13 juillet 2015. Les entraîneurs intéressés sont invités à soumettre les informations ci-dessous. Un(e) représentant(e) de RSC/ du Comité Vitesse contactera l’entraineur(e) qui est sélectioné. Please provide a brief outline for how you think you can best assist athletes plan and prepare for the Pan Am Games / S'il vous plaît donner un bref aperçu de la façon dont vous pensez que vous pouvez aider les athlètes se préparer pour les Jeux Pan Américains. Are you ready for the TORONTO 2015 Pan Am/ Parapan Am Games? Tickets are on sale now, starting at just $20! TORONTO2015.org/tickets. Get yours now and become part of this once-in-a-lifetime event. We’re ready, are you?